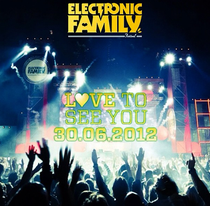 The official anthem of Electronic Family, the festival which takes place on June 30th in the forest of Amsterdam, was produced by Dutch producer Sied van Riel and 14-year-old talent Erik van den Boom. Last summer in Amsterdam, the very first edition of Electronic Family, turned out to be a great success and this year, despite the current economic climate, Alda Events, readily committed to another edition of the outdoor trance event. With names such as Armin van Buuren, Paul van Dyk, Ferry Corsten and Markus Schulz behind the decks, a good theme song was necessary! Sied van Riel, one of the producers of the tracks, will play at the Armada stage during the festival as well. 14-year-old prodigy Erik van den Boom, who recently quit his study at university to develop his career as a producer and DJ under his Erik Arbores moniker, was invited for a collaboration with Sied van Riel. 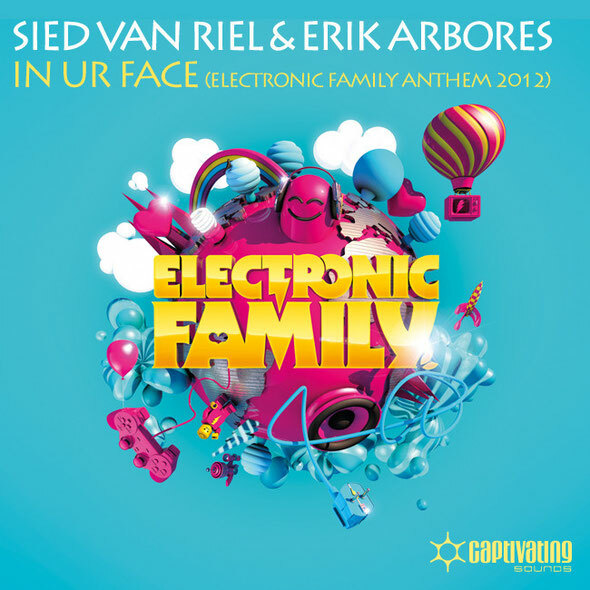 Van Riel, who’s got his debut album set for release on Armada Music at the end of 2012, saw lots of potential in the young Arbores. Within a matter of days, the first version was ready and soon, after a few minor changes, the track was ready to go. ‘In Ur Face’, the official anthem of Electronic Family, is a melodic feel-good track with a rough edge and thick bass, perfect for a festival. It’s out now, exclusively on Beatport. Check it out below.